Valentines Day might have been last month but a girl can always dream to be whisked away to a far off land for a romantic getaway. The closest I can get to that at the moment is tucking into Paul A Young Romantic City truffles that were limited edition for Valentines Day. Having been to quite a few of the selected cities I was excited to see whether Paul had managed to capture the charm and wonder of a city in chocolate form and I was not disappointed …at all. Kicking of with the romance capital of the world- Paris – Fontaine Absinthe, lump sugar and water, Valrhona 64% Dominican Republic chocolate. 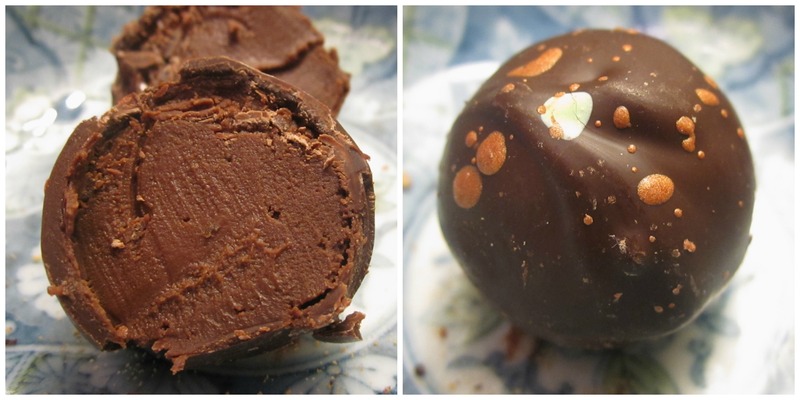 The medicinal note from the Absinthe with the deep chocolate makes for a delicious truffle with the granulated sugar giving a great crunch to the silken smooth ganache underneath. I left my heart in New York – Vanilla cheesecake, Valrhona White chocolate, Madagascan Vanilla bean, digestive biscuit, Valrhona 72% Venezulean chocolate. My cousin had tried one of these before and got very annoyed at her husband that he had finished the last one as it was so good. I knew I had to have one! 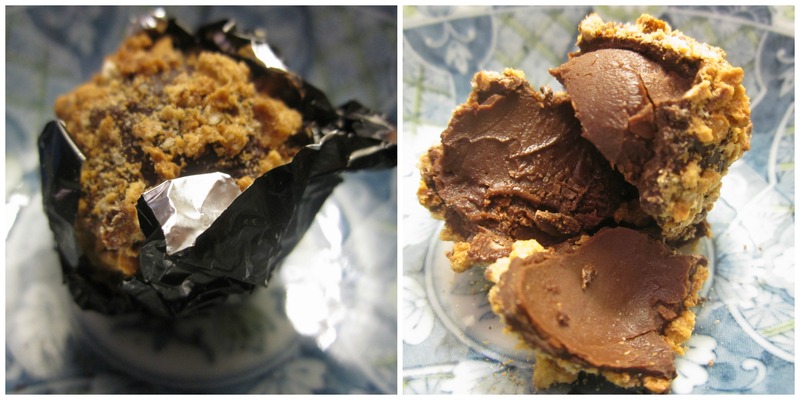 Crumbly oaty biscuit with an insane vanilla note from the dreamy creamy cheesecake layer. 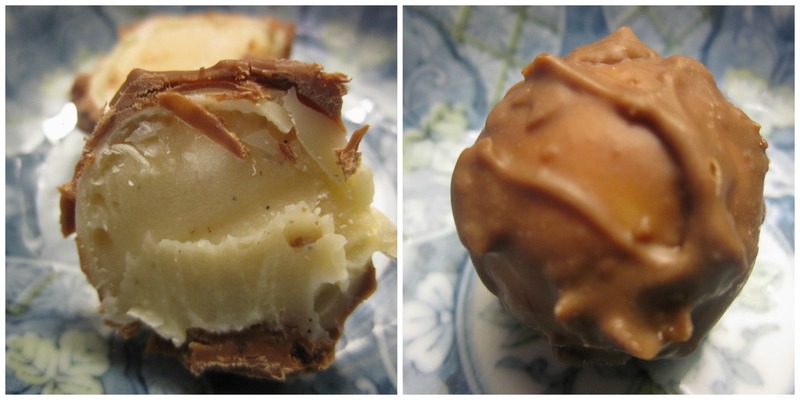 One truffle that I hope stays around. One of my happy places is walking the orange tree lined streets of Seville, with the sun warming the surface releasing their sweet fragrance. 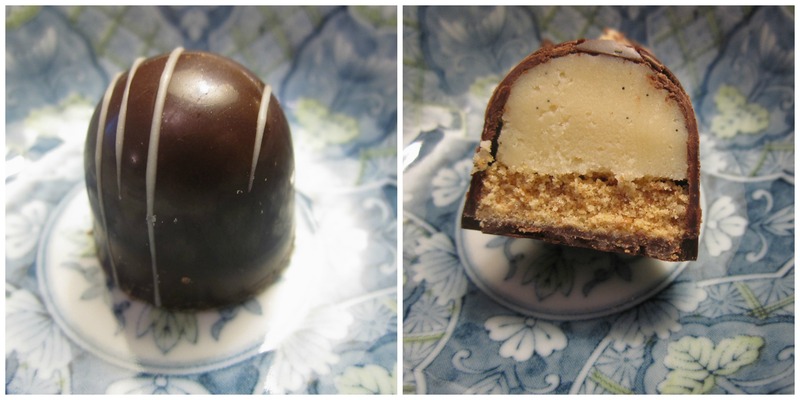 Seville – Marmalade ganache, toasted almonds, Valrhona 64% Madaagascan. The tang from the marmalade paired with the earthy almonds makes me want to hum Carmen all day long! Having gone to Lisbon for the first time last year, I jumped at the pastel de nata flavour truffle having formed an addiction to those dreamy tarts. Lisbon – Pastel de nata (Portuguese custard tart) truffle, Madagascan vanilla bean, Valrhona white chocolate, Caramelized milk chocolate, wafer pieces. 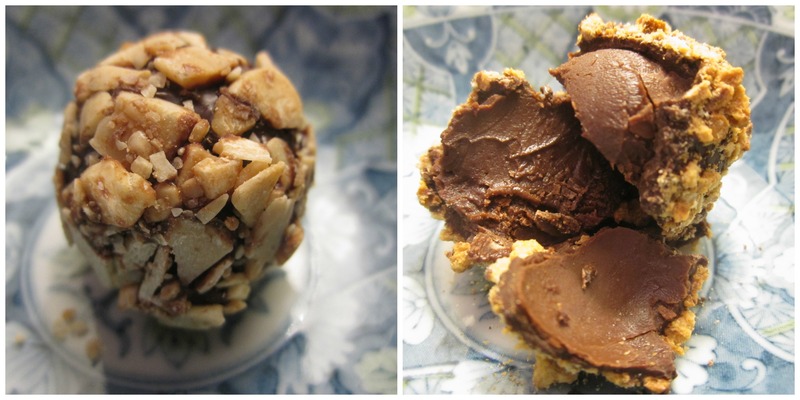 This is a very very special truffle, I can’t describe how much I love this truffle. Shards of wafers to add a sublime texture to a rich custard centre. Please send many many many of these bad boys. 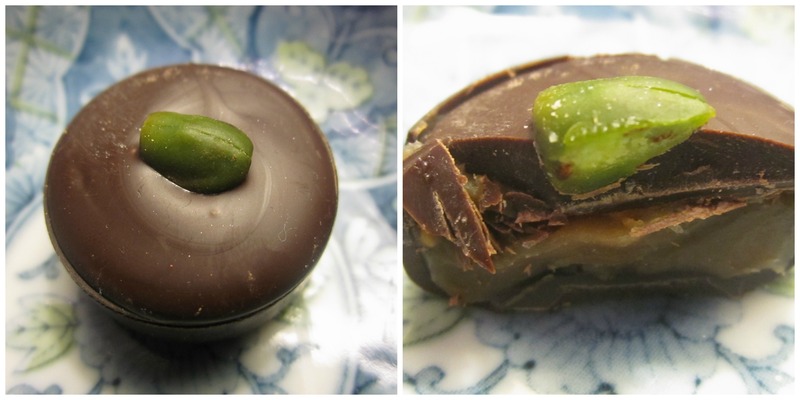 I’m off to the next Istanbul in May for my sister in laws 30th and can’t wait to explore the spice markets and sample such delights – Istanbul – Pistachio, honey and fig caramel, 67% Michel Cluizel Saint Dominique. 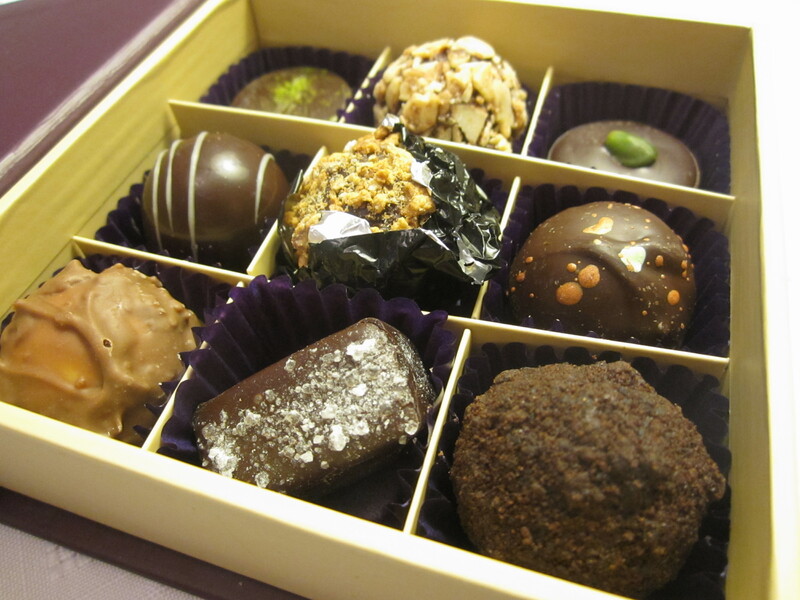 With a slight bite from the odd fig seed nestled in the most luxurious honey caramel all topped with the delicate almond note from the pistachio. 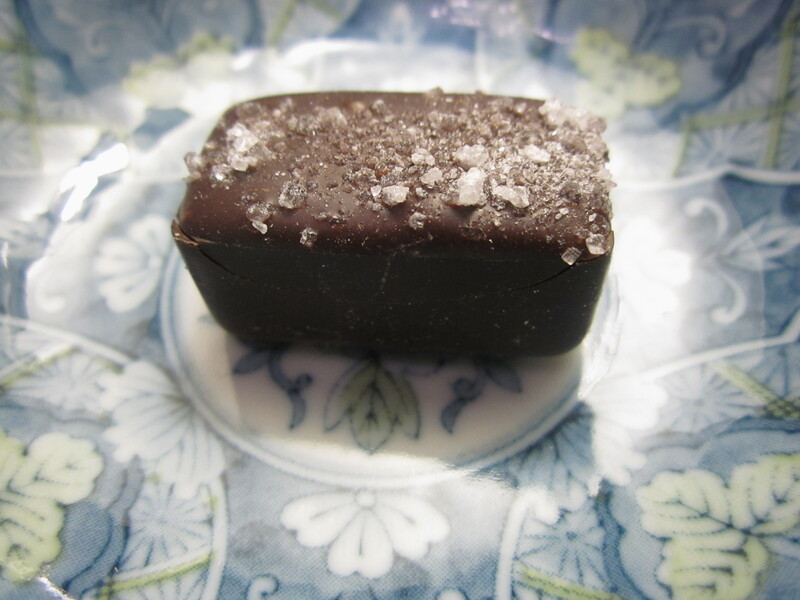 Copenhagen – Romkugler, chocolate cake, Appleton estate rum, 70% Valrhona. Warming alcohol notes with an undernote of almonds and cherries. Delicious. I’m booking my ticket to Copenhagen right now if it means I can get more of these amazing flavours. 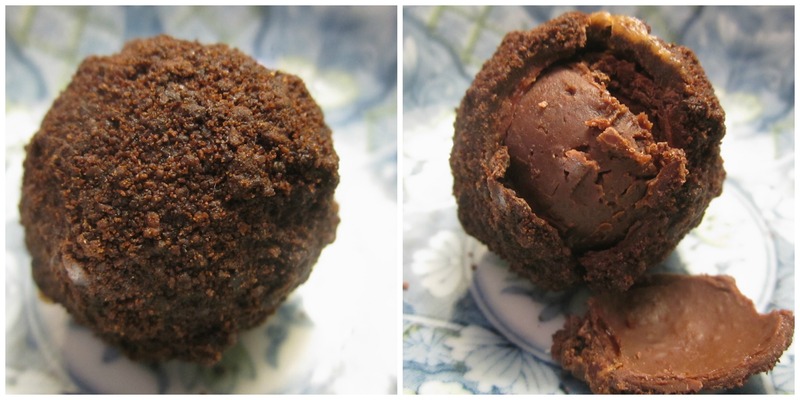 Dublin – Guinness truffle with soda bread, 65% Duffys Dominican Republic. Ultra rich and decadent, the irony note from the Guinness just adding to the intensity of the truffle, with the crunch of the soda breadcrumbs breaks the smooth dreamy centre. London – Sacred distillery Gin, Bermondsey tonic water and lime, 64% Michel Cluizel Papua New Guinea. Complex fruit notes from the gin and the lime adding a clean refreshing note that lifts the richness of the chocolate outer. A true Brit to be proud of. 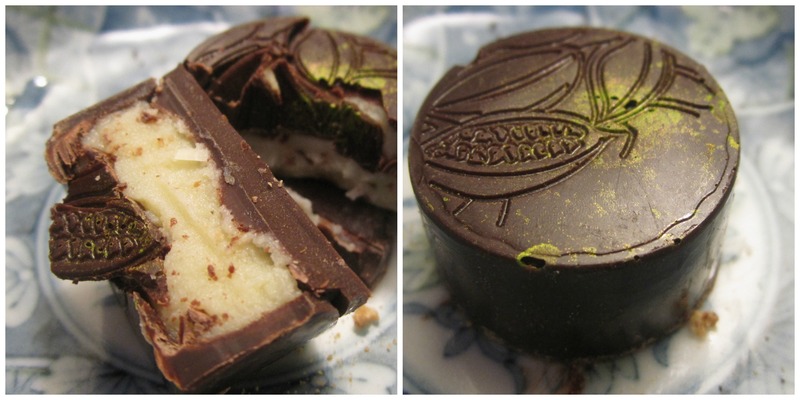 Venice – Mascarpone, basil and limoncello, Valrhona, 66% Caribbean. The basil with the mascarpone is a match made in heaven, the lemoncello is lurking in the background rather than smacking you around the face, like a shot of the syrupy liqueur would. The perfect way to end my round the world trip in an evening. My love for these chocolates only grow with every collection I try, I just hope some of these beauties will make it in to the standard collection.